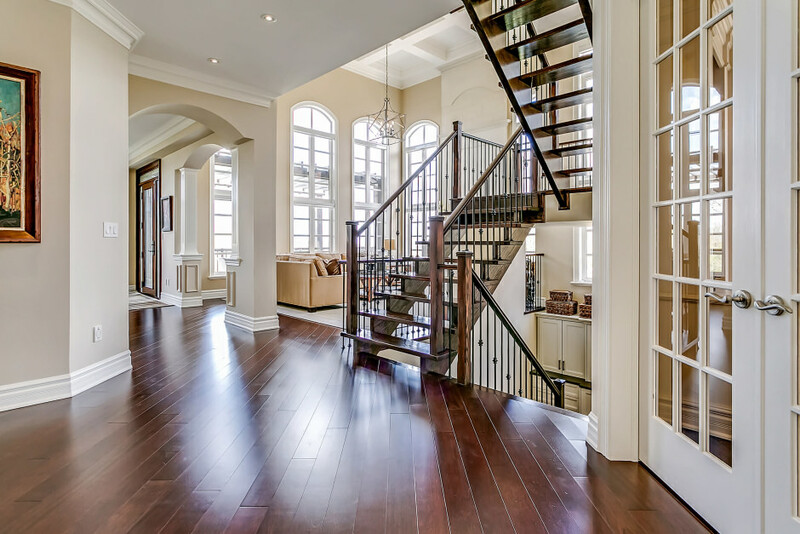 Exquisite, one of a kind home in desirable Bronte Creek. This highly customized Fernbrook-built home offers 5.2 bedrooms and 4.2 bathrooms over 7,309 total finished square feet. 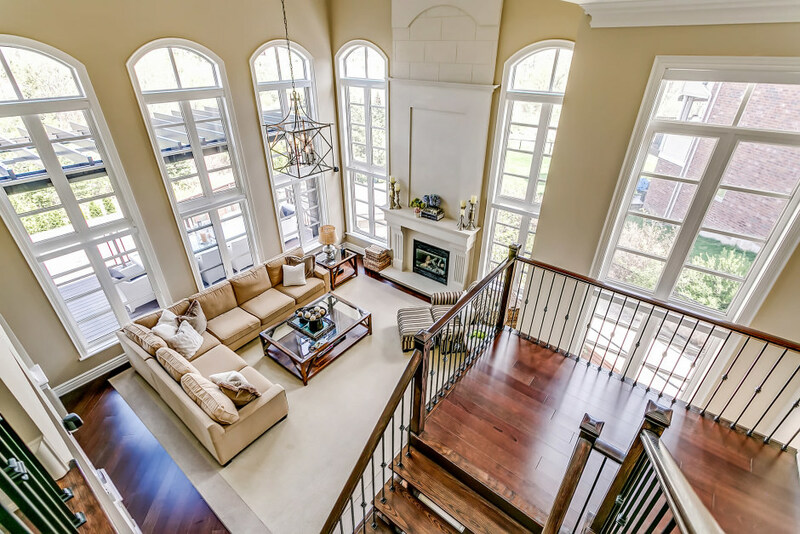 The unique floor plan provides a custom-home feel, with an ideal layout for entertaining. The high-end finishes throughout were all hand picked, and include polished marble tile and wide-plank Jatoba hardwood flooring, wainscoting, custom window coverings, mini LED pot lighting, double-height crown moulding, and more. A chateau-style stone and stucco exterior with copper accents opens to the formal foyer with impressive 20’ ceiling. Soaring ceilings continue in the great room, with an oversized designer chandelier handing from the 20’ coffered ceiling. The focal point of the room is the gas fireplace with full-height cast stone surround – though it is arguably rivaled by the ravine views, of which there are plenty via the panoramic windows. The great room opens to the heart of the home – the gourmet eat-in kitchen. Custom soft-close cabinetry with under-cabinet lighting accentuates the granite countertops and seamless granite backsplash. Top of the line appliances include a Wolf double oven and additional warming drawer, Sub-Zero refrigerator, and Miele dishwasher. A servery connects to kitchen to the separate dining room. This adult space boasts custom built-in hutch cabinetry and a secondary walkout to the rear floating composite deck – ideal for après dinner cocktails on warm summer evenings. Five bedrooms are located on the second level of the home, each with large closets and ensuite access. Double doors open to your master retreat, with two walk-in closets and a five-piece ensuite with a custom double vanity, oversized shower with body jets, and Jacuzzi soaker tub. 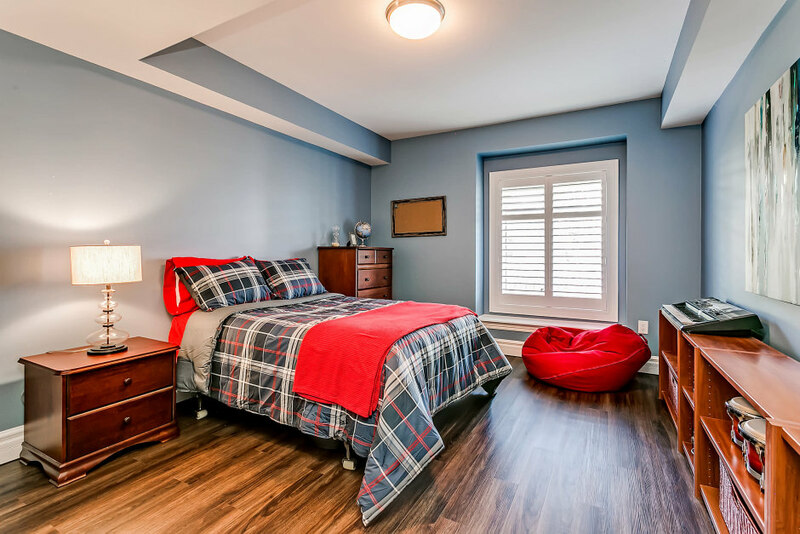 The sixth and seventh bedrooms are located in the lower level of the home, along with a full bathroom, media room, and second full kitchen – an ideal nanny/in-law suite or teen haven. The lower level walks out to a fully loaded rear yard with all the bells and whistles – from the covered outdoor living room, to the custom basketball court, to the in-ground concrete pool with integrated spa and linear waterfall features. Professional landscaping with irrigation and landscape lighting tie the space together, harmonizing this man-made paradise with the natural ravine setting it backs onto. A triple garage is just the icing on the cake – this stunning home leaves nothing to be desired!